Two fighter jets have crashed in Abuja, the capital city of Nigeria. The jets belonging to the Nigerian Air Force crashed around Mashafa area of Mpape, Abuja. 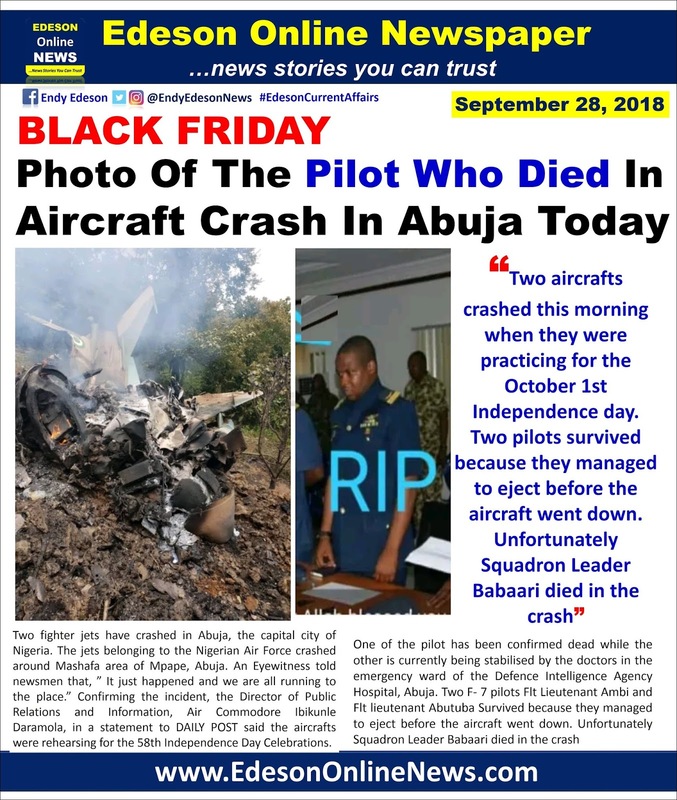 An Eyewitness told newsmen that, ” It just happened and we are all running to the place.” Confirming the incident, the Director of Public Relations and Information, Air Commodore Ibikunle Daramola, in a statement to DAILY POST said the aircrafts were rehearsing for the 58th Independence Day Celebrations. Daramola said, ”I wish to confirm an air incident involving 2 Nigerian Air Force aircraft taking part in the rehearsals for the 58th Independence Day Celebrations. Two pilots survived because they managed to eject before the aircraft went down. Unfortunately Squadron Leader Babaari died in the crash. It's a pity, rehearsal for a country that d leaders has failed.RIP.